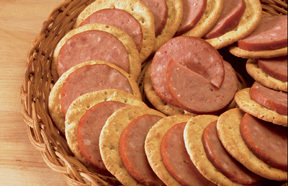 I love this summer sausage. I have yet to find another that competes with the taste or the texture. I either order online or stock up when I visit AR. I have introduced friends from other countries and my children to this, too. Loved by all. If relatives from AR are coming to visit, they know to bring me some summer sausage.